Through their birth, growth, death and decay, plankton create global carbon. Half of the oxygen bubbling out of phytoplankton is floating in the seas. Plankton are the principal producers of atmospheric oxygen. The sea world of fish, the floor of corrals, the mollusks, eels, water snakes and millions of marine animals from worms to crabs to giant sea creatures depend on plankton. Plankton are devoured in vast numbers and are the vital first link in the oceanic food chain. That characteristic smell of the sea is due primarily to them. The Food and Agricultural Organization of the United Nations found that humans around the world get about 80 percent of their daily calories from fruits, vegetables and grains with the other 20 percent coming from meat, poultry and fish. Animals like us eat plants or other animals that have already eaten plants. This makes one long connected chain. Add ocean life into this food chain and the story is this: the sun warms the water as it does the fields and grass. Underwater, the light-energy grows picoplankton to phytoplankton. Most are so small you need a microscope to see them. Zooplankton, tiny animals, eat billions of plankton. Bigger creatures gobble them up. Many deep sea creatures swim to near surface waters at night to feed. Others wait for something called, “Marine snow." These tiny flakes of plankton and animal poop, mucus and carcasses sink down and make nutritious food for bacteria and other creatures looming in the dark. All this consumption pushes carbon dioxide out into the sea and enormous natural and stormy sea currents churn the waters to push nutrients, carbon dioxide and plant-based oxygen up into the air. Drifting eggs. Plankton is often full of the drifting eggs of other creatures and fish. Marine diatoms. These microscopic creatures use sunlight to make sugar from water and carbon dioxide and that equals a food lunch for many animals. Marine viruses. They may be the most abundant organisms in natural waters and play a significant role in microbial food webs. The word plankton comes from the Greek word planktos, which translates to “drifter." This is an apt name because plankton doesn’t swim but travels in the ocean’s currents. Even though their territory horizontally is tremendous, their vertical drop is constrained by the sunlit layer of the sea called the photic zone. That then becomes part of the euphotic zone where enough light is still able to get through to allow for a process called photosynthesis, a process used by plants to harness energy from sunlight. Plankton’s territory stops at the disphotic zone, also known as the twilight layer, where light falls to one percent of its surface value. Some phytoplankton live as chains of cells or make large colonies. Most exist as single cells in such vast quantities that they create a bloom visible from space. A wide range of planktonic creatures such as jellyfish, copepods and ostracods produce a light known as bioluminescence. Glowing like fireflies, they can make the whole surface of the sea sparkle at night in breaking waves. Although plankton can be found throughout the world’s oceans, they are most abundant in nutrient rich regions such as shallow seas, on continental shelves and in upwelling regions, where deep ocean water rises to the surface, such as the Antarctic polar fronts, the west of South Africa, the coasts of Peru and Chile and eastern New Zealand. 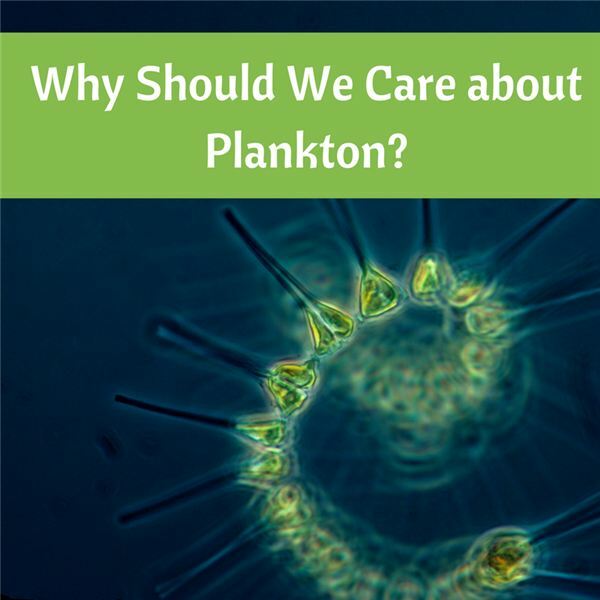 Since plankton have an important influence upon climate through their effect on the atmospheric concentration of the greenhouse gas carbon dioxide, plankton links life in the sea with rock weathering and the carbon dioxide intake on land. It accounts for a long-term net removal of carbon dioxide, a good thing. Agitations such as environmental change, invasions by alien fish species or viruses and the removal of key species from overfishing can alter the interactions among fish and plankton, changing the nature of the ecosystem, sometimes abruptly. Colonies of algae (simple plants that live in the sea and freshwater) that grow out of control while producing toxic or effects on people, fish, shellfish, marine mammals and birds. These are referred to as harmful algal blooms. The National Oceanic and Atmospheric Administration under the U.S. Department of Commerce has opportunities for teachers and students as well as interesting career opportunities. You can apply for a grant or volunteer to be a citizen scientist. Learn how to reduce your carbon footprint (see References). Be responsible about using plastic and tossing stuff. Take care of the beaches by cleaning up after yourself and don’t disturb the natural environment. Don’t buy coral or objects that exploit marine life. Finch, Jenny, ed. et al. Zoom In Zoom Out: A Close-up and Far-out Look at Our World. New York, Dorling Kindersley (DK), 2011. Book. Bang, Molly & Penny Chisholm. Ocean Sunlight: How Tiny Plants Feed the Seas. New York: Scholastic; Blue Sky Press, 2012. Book. Barker, David M. A Class of Their Own: Archaea. New York: Crabtree Publishing, 2010. Book. Kirby, Richard R. Ocean Drifters: A Secret World Beneath the Waves. Buffalo: Firefly Books ltd., 2011. Book.